It’s a traditional men’s scent, of that I’m doubtless, but it has something almost sweet about it due to the mint and maybe a little of the nutmeg, buffing off those hard edges of lavender and patchouli. Bergamot lifts the top immediately and balances out the crisp and icy-wood base whilst clinging on for dear life, just about surviving. Shards of Cedar & Red Thyme gives me pangs of similarity to Chanel Bleu de Chanel by Jacques Polge due to the interweaving of nutmeg, patchouli, cedar and vetiver but not quite as saccharine and a little more soapy; also maybe hints of Aramis – it’s essentially a traditional men’s cologne but finessed slightly so as not to be so blunt and crude. This is a winter scent to uplift whilst embracing the sharp and seasonal air; this is the cologne of an ice-king. It’s simple in its delivery and will not throw out any shock transformations throughout the day although the nutmeg does keep coming back every so often which is a pleasant surprise. Throw-wise, it’s pretty moderate and holds its own so won’t go unnoticed. I do like Jo Loves Shards of Cedar & Red Thyme but if I were to choose a traditional cologne with similar notes, I’d probably opt for something more arrogant and stable such as Aramis or the 70’s favourite, Blue Stratos (developed by Shulton Inc who also produced Old Spice). For now though, a little Jo Loves Shards of Cedar & Red Thyme sprayed on the inside of my coat collar will do my just nicely. 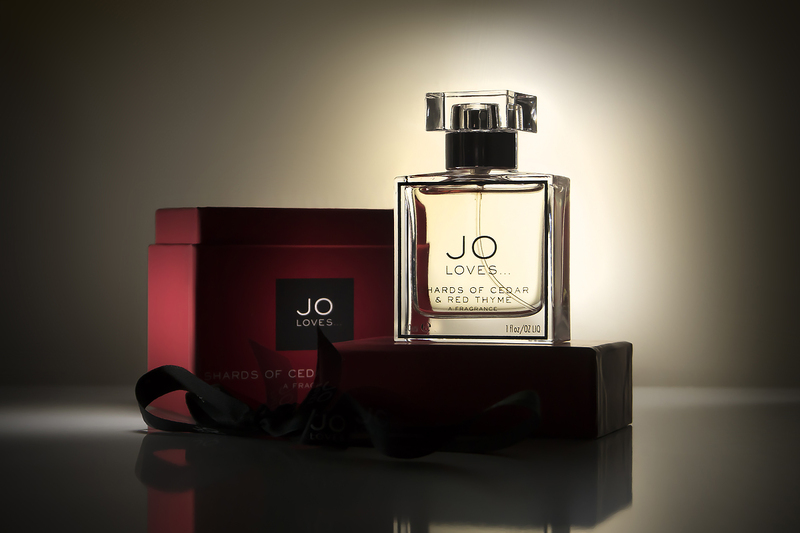 Jo Loves Shards of Cedar & Red Thyme by Jo Malone is £45/30ml or £95/100ml here from Jo Loves. This article first appeared on MANFACE written by Thom Watson. It was published on Saturday 27th December 2014 and was last updated on Monday 3rd April 2017 at 1:39pm. It's categorised under Fragrance, JO LOVES, Jo Malone London where you'll find more related content.